The humanists, who tried to approach the classical texts and saw their spirit through the prism of their own time, used, also, to collect books and establish interesting libraries, while they also dealt with text review. 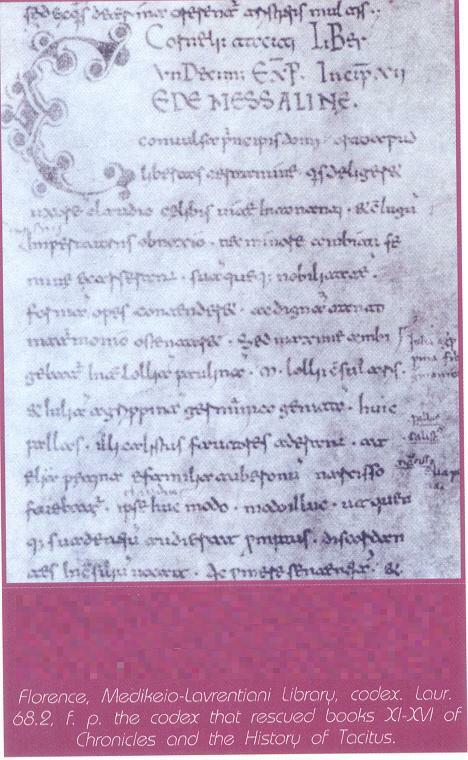 The humanist Coluccio Salutari invited the Byzantine scholar Manouel Chrisoloras in Florence, a fact that became the beginning for the spreading of the teaching of classical texts in western Europe. Manouel Chrisoloras was the first who taught systematically Greek literature and language in Italy and played a great part in translations of Greek texts in Latin. Before him Maximus Planudis had contributed to the fact that the Byzantines obtained some knowledge of Latin literature. Generally, the contact between the eastern and western areas become more and more often, while the Greek Empire was under the Ottoman danger; of course, before and – mainly – after the capture of Constantinople many Byzantines settled in Italy as refugees and – in order to survive – they taught Greek language and copied texts. The Greek language, though, was quite difficult and few Western people managed finally to read texts from the originals. Even fewer tried to access Constantinople in order to learn Greek; the majority was just satisfied with translations that became more and more; many of them also traveled to the East, in order to bring more Manuscripts, which perhaps contained new texts. Ioannis Aurispa returned to Italy in 1423 bringing 238 Greek Manuscripts. The collection of Philelphos contained 40 Manuscripts. Others rulers organized their own private collections. 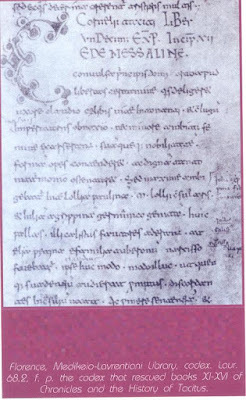 The cardinal Vissarion made a notable and touching effort to create a collection of Greek texts with works of all Greeks authors, so that any Greeks who resorted in western Europe after the Fall of Constantinople would be able to find these Manuscripts. Later, he donated his Manuscripts to Venetian state for the above purpose. Politianus, a famous poet of Renaissance, worked upon Greek texts as philologist and translator. For his age he was considered to be equivalent to the Greek language, while he was the first Italian who had managed something like that.